with the state-owned TASS news agency. “We’re stronger,” he said, “because we’re right. When the Russian feels that he’s right, he’s unstoppable. “I’m saying this sincerely, not just to pontificate,” he added. Right now, there is an on-going conflict in the southern and eastern parts of Ukraine — areas which have predominantly ethnic Russian populations since the days of the Soviet Union. Back in March 2014, Russia annexed Crimea, which was previously a part of Ukraine. Since then, there has been conflict between the pro-Russian separatists and the Ukrainian government — most notably in the Luhansk and Donetsk regions. Certain inhabitants of the region want to join Russia, while others want to remain in Ukraine. “Each region [in Ukraine] would have control of its economy, taxes, culture, language, education, and ‘external economic and cultural connections with neighbouring countries or regions,'” Russia’s foreign minister Sergei Lavrov has previously stated about the “federalisation” plan, according to The Guardian. This would give greater autonomy to the southern and eastern parts of Ukraine — where the conflict is currently going on. In simple terms, these regions would be directly associated with Russia, rather than with Ukraine. “I have developed a certain style over the years. 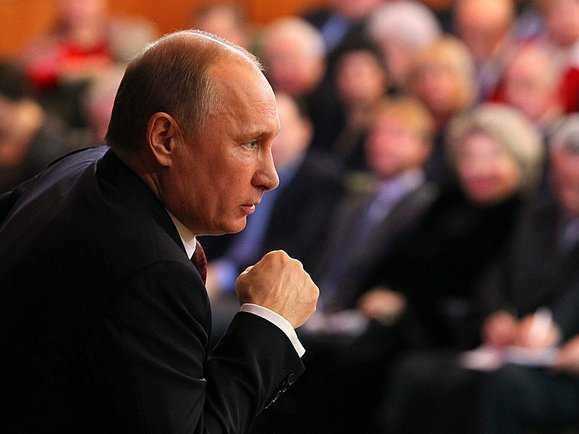 I never make arbitrary decisions — the ones whose outcomes I cannot see,” Putin said. “It’s like when you’re [driving] on the road: if you’re not sure, don’t pass [the car next to you]. “Those who are trying to compete with us, are on the wrong side of the road. We’re on the right side of the road, and we’re on cruise control,” Putin stated about the current situation.